Regional Science Centre of Bhopal is located in Shyamla hills area, aimed at popularizing science among people particularly young students. 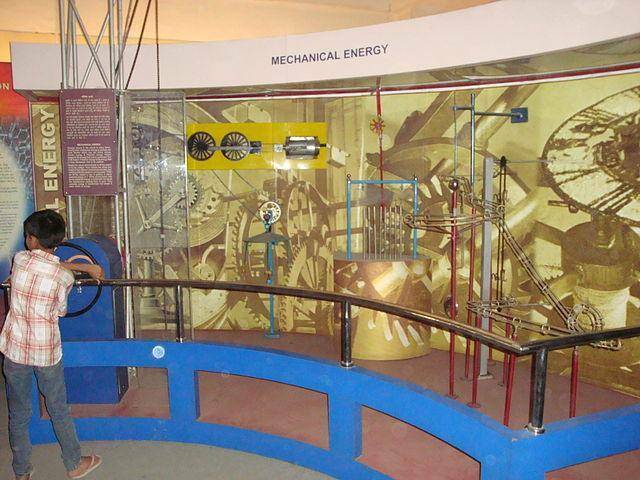 Regional Science Centre is like a Science Museum which has a planetarium and over 300 science exhibits related to different fields of science such as sound, mechanics, light etc. There is a 3 acre science park which also has over 70 interactive exhibits helping visitors understand scientific principles behind them. On weekends Science Centre organizes sky observation sessions in the evening where visitors can see planets, moon and few constellations. Here you can see interesting 30 minute Tara Mandal (planetarium) show at 12.30 PM, 3 PM and 5 PM for a Rs. 2/- fee. A 3D film show can also be seen at 12 PM, 2 OM and 4 PM. Fee for this is Rs. 10/- .